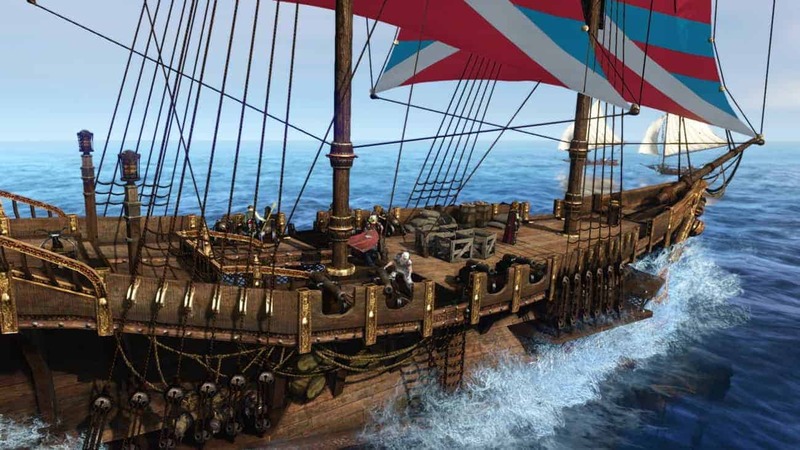 The appeal of the freedom given in today’s sandbox MMORPG games may today be under threat, for players of ArcheAge at least, as developers Trion Worlds today announced a surprising reversal of opinion surrounding player controlled barricades. The decision follows a detailed discussion on the official forums that resulted in the developers taking a u-turn on previous policies and now threatening to ban players if they continue to partake in the blockading of community made trade routes. Until tomorrow, October 23rd, players that create blockades will be issued an official warning and see their blockades despawned by the Game Moderator team. Following October 23rd players that continue to participate in the blockading of trade routes will receive temporary bans, and even permanent ones if they continue to break the rules. [quote cite=”Seraphina Brennan, ArcheAge Community Manager “]Users may no longer set up roadblocks/blockades anywhere in the game via any means (vehicle, ships, avocados, or otherwise.) In addition, we’d like to reinforce that users may not use their vehicles, ships, bodies, or another means to block someone from planting on their private land, interactable items, or from blocking NPCs in such a way that they cannot be interacted with. For the full lowdown on the surprising change of heart from Trion Worlds, check out the official thread below.